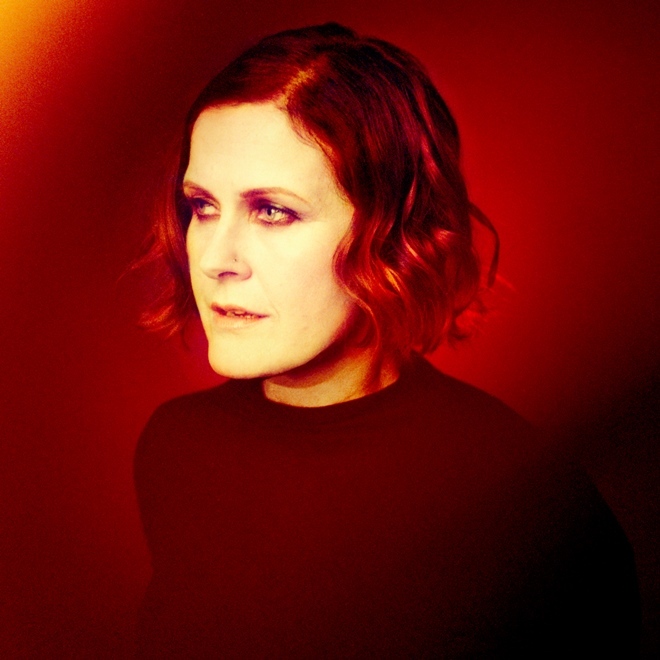 ALISON MOYET returns with a new album ‘Other’ this June while the Autumn sees her embark on a substantial world tour. 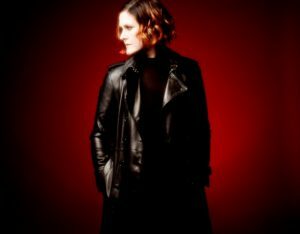 ‘Other’ is produced and co-written with Guy Sigsworth who worked on its predecessor ‘the minutes’, an acclaimed album which saw Moyet return to the electronic forms with which she first found fame in YAZOO, her short-lived but highly regarded duo with Vince Clarke. 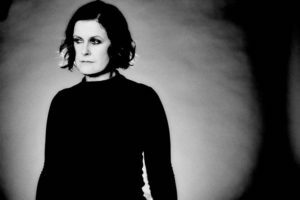 Moyet’s recent single ‘Reassuring Pinches’, with its brooding synth arpeggios acts as a deliciously dark trailer. But the album packs a few surprises from the spoken word mood piece ‘April 10th’ to the ballsy blues rock out of ‘Beautiful Gun’. Meanwhile as the album’s closer, the startling orchestrated electro-dub drama of ‘Alive’ shows her former classmates in DEPECHE MODE how to actually fully realise a song such as ‘In Chains’. Her voice has gained an additional resonance, but as ever remains powerful, self-assured and unique. 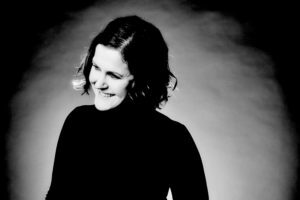 It’s not one of those records that’s designed to aim for radio, so there’s different layers that will appeal at different times. When you’re writing an album, you’re usually thinking about yourself. But I’m of an age now where a romantic narrative is of no interest to me. 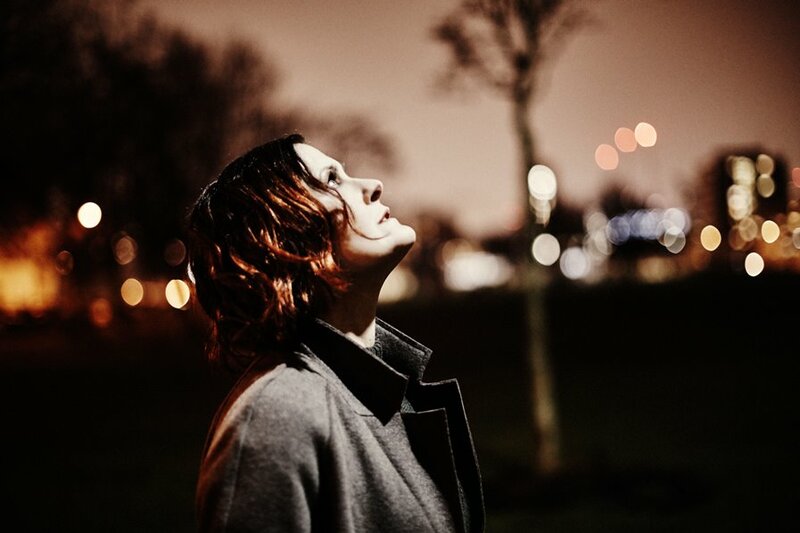 For me now, it’s about observation… I’ve moved from a place that was in the countryside where there was not a great deal of culture, to living in Brighton and being thrown into life. So even though this album is called ‘Other’, and I’ve always felt other, I don’t think I’ve ever felt quite as much of a sense of belonging as I do where I am now and you get a sense of everyone having this other noose, be it an old person who is completely eccentric or a young person who can completely dress down, none of these things are judged. ‘Other’ is just accepting the fact that when you’re younger, you always want to fit in and then you get to middle age where you’re resolved with everything, and it’s like “I have no need to be everyman”. You’ve worked with Guy Sigsworth again, was it a case of “if it ain’t broke”? No, that refers to the finished product as opposed to the process. The reason why I wanted to work with Guy again is because he gets me and I get him. We have a really good musical connection and understand one another. Writing eleven songs together as we did on ‘the minutes’ is not a massive amount of time to develop your relationship, it’s the starting block. What’s the collaborative dynamic between you and Guy? We work very much as a band. Everything that you hear in the vocal is my domain while everything beats-wise is his, that’s the way it goes. We’ve got a couple of songs with other writers on this, but what Guy will do is give me a very basic track with a vibe and a chord progression; I won’t listen to it until I’m in record and then I start ad-libbing. I do that a few times, create a melody that suits me and I write the words to it. Do you get into the production side much? Yes, vocally and dynamically but in terms of creating sounds, no. ‘Reassuring Pinches’ is a striking trailer for ‘Other’, what was its genesis? It was written with my live band members John Garden and Sean McGee in an electronic backdrop. They sent me a basic track and I wrote the melody and words, but the production wasn’t quite as I wanted so we moved it over to Guy who rearranged it sonically. That song is probably the most personal song on the album, but on this occasion, I’m not going to explain the lyrics. I’ve always tried to do it before, but I can only give the words less meaning by using other words that weren’t fit to represent it in the song. There’s that and also, there are certain songs in the past that I have no relationship with anymore, but that’s not dissing the people who do have a relationship with it… their meaning, I have to understand, is entirely different to mine and I don’t want to colour their thoughts. In the old days when I was a fan of people, I never got to speak to them or hear what they had to say, so I had to project myself in the music and there’s real pleasure when you’re allowed to imprint yourself on the music you listen to. ‘Reassuring Pinches’ has a synth arpeggio that appears to have been inspired by the theme to ‘Stranger Things’, have you seen the show and what do you think of it? I have a really bad memory, I know I have seen the TV show but I don’t know if Guy has… I don’t remember what the music was like. But to be fair, someone else did mention it and I did look again and I think the connection is slightly vicarious, it might be the same mammal or beast but I don’t really see it as a facsimile. ‘Happy Giddy’ is quite synthy too, but in a more heady kind of way? It appears to be the most throwaway of the tracks in terms of it being the most lightweight, but that’s very deliberate because the subject matter of the song is exactly that. This was written from me watching people on social media and this relentless joy they feel they have to express about their ‘perfect’ lives. Ok, we’re all attention seeking on social media but I get very frustrated by glossy language, I get frustrated by people needing to raise themselves above others in terms of them living their life ‘better’, so it’s kind of a mealy-mouthed reflection of that I guess. ‘Alive’ is quite a startling track and interestingly, it’s the album’s closer although it could easily make a good opener. So how do you decide on the final running order? When I’ve made an album before, that has been completely my task. But writing and recording this album has all been going on alongside me studying figurative sculpture at college. So even though it felt like a linear progression, I never had an amazing amount to time to live with the album. 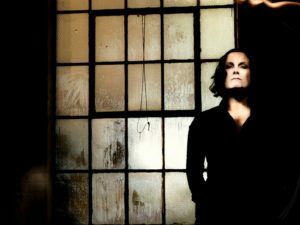 The first time I heard it together as a whole with the final running order was in mastering; so it was a really strange thing that I was mastering an album that I was not overly familiar with. So I’ve been listening to it discomforted by something, but then really into it later. But I quite like the slightly punk attitude of that. Deciding the running order is about a lot of different things. I mean, Guy doesn’t like one song following another in the same key. For this album, I felt the need to take a slight mountainous path. You don’t want vertical drops all the time, so you’re looking for some shape within that as well as some narrative. Interestingly enough with ‘Other’, the first song ‘I Germinate’ was the first song me and Guy wrote together for it and ‘Alive’ was the last one we did. So they’ve quite accidentally bookended the album. At the opposite end of the spectrum, there’s the bluesy ‘Beautiful Gun’? Is it as rude as it appears to be? I’m aware of the double-entendre because there is something so flippin’ phallic about gun ownership… and again, this was another social media thing that you can see the most mindless hateful stuff written about others. Yet if you say anything to people about how having a gun may not be a good idea, then you may as well have fisted them with a f*cking rusty nail glove, do you know what I mean? It’s this unbelievable protectionism that goes towards carrying a firearm, the machoism and the stance of bravery when it’s such a cowardly thing to do to threaten people with a weapon. ‘April 10th’ is an interesting spoken word experiment, where did the idea come to use your voice in this way? This is how I often write… what happens is I’ll write a poem and it gets somewhat amputated to fit in with the structure of a pop song ie verse / bridge / chorus. With this, the words described so perfectly my thought process and that day ‘April 10th’ of a year ago. I wanted to have a fidelity towards the words because words are really important to me. But just because you can sing big, doesn’t mean you need to sing big… I can sing, but in this instance, the words held my fidelity much more than trying to shape it to fit a model. Did political events here and abroad shape your lyrics at all? With your French heritage, how European or British do you feel now? Yeah, I feel very European. You look at my output and you can hear in those early solo records that I have this Mid-Western drawl that singers feel they need to occupy. But as you go later on down, you can hear this Britishness and my language returning. I’m a dual national, I’m French and British so I am not thrilled about Brexit but there’s f*ck all I can do about it. Those things are going to influence my way of thinking. I can’t say that I ever sat down at any time and deliberately tried to say I’m going to write about ‘this event’, it’s just that those things colour your mood and observations. The thing with Twitter is you’ll come across someone who bought a single in 1983 and they think that they have the clue on who you are from that… now I’m not dissing them for that because I was very grateful in 1983 that they bought the single, but if I use my language with any aggression or swear, you get some people occasionally who will sound put out, like “I expected more from you!”…well, don’t! One thing I love about Twitter is the fact that if I’m crass and I define all these things you don’t like, I’d much rather you knew it as I don’t want to be facing an audience who is expecting Celine Dion and is getting something else. I would much rather play to a smaller audience that understands I am an artist and I will express myself freely in the same way I respect anybody else doing it. So no, I won’t affect my personality to make it more sellable and people think I would, then clearly they don’t know me. Has it worked to your advantage, especially when you compare it to the days when records labels pushed you to do jazz albums and were practically putting chains on you? Half the problem was, people don’t know who you are. It could be assumed you’re a chubby female singer who is whining or vulnerable and small, you know, all those kind of things. That’s never really been who I am. So what I like about Twitter is I can display myself in all my glory, even when that glory is heinous and not attractive. I would much rather that, so I love it for that purpose and you that you get to connect with other human beings. You’ve mentioned that these days, you don’t really relate to the narrative of songs like ‘Invisible’ anymore? I haven’t related to that for the longest time. You’ve got to remember when I first started singing in bands, I was a big fan of Janis Joplin and her shtick was very much about “a man’s done me wrong, I’m broken by it”. Does the detachment also come from the fact Lamont Dozier wrote it? No, because I still do ‘Whispering Your Name’ which was written by Jules Shear and although I don’t know him or his sensibilities, the language still appeals to me. Lamont Dozier is brilliant and a lovely man who has written some really fantastic songs, I have nothing but admiration for him. ‘Invisible’ is a well-structured song but I am more than just a singer, I have to engage and when I’m on stage, I give it everything that I’ve got, whatever I’ve got that day is given. I certainly don’t want to just dial it in… I don’t want to look down at a setlist as I have done in the past, seen the next song and have my heart drop. I’m not doing that anymore, my fans deserve more than that. Err! Dave Gahan… what is your viewpoint on people that move away and lose touch with their roots? I have no opinion on that, everybody has their own life to live. For me, I’ve got a lot of heart in Basildon, my family are still down there, although more on the outskirts like Wickford and Billericay. I do understand some people’s disappointment in it, when I lived there it was mostly a council estate town, so it was really well kept and green with a lot of young families. It was a nice place to grow up in really and it always felt pretty safe. But when they sold off the council estates, it became less of a community and more disparate with a lot of the places left to go to rack-and-ruin. There was a lot of political engagement and when the Tories reigned for a while, we got ‘Basildon Man’ which was not something we really understood. So I do see a difference… Dave moved away from Basildon a long time ago but it’s one of those things. I dunno, when I’m with other Basildonians, I can moan about the changes but when someone else sh*ts on the place, I feel protective about it. You have a huge tour in the Autumn. What do you prefer? Live or studio work? These days it’s more equal, it used to be that I preferred live but since working with Guy, I’ve really been enjoying the studio experience as I don’t have to struggle to be heard. Sometimes, it can be really dull when having to really to push the point that this is my album, and with Guy, it’s not like that at all. It’s a really equitable and respectful union. Live work though is the one thing that I know what is expected of me. I love the physical feeling of singing, I like the way it makes my body feel. So I’m really excited about this tour, it’s the biggest one I’ve done in thirty years! It’s gonna be a challenge but I’m looking forward to it. With the setlist, there are things we have to adhere to. 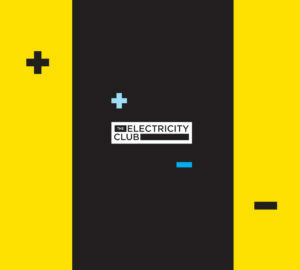 It will mostly be an electronic set although there will be some guitars, I will be doing YAZOO, stuff from ‘Alf’, ‘the minutes’ and the new album. It covers most of the years but when you have nine albums, eleven if you include YAZOO, there are a lot of cuts that have to be made. I would cut more hits if I was left to my own devices, but that would be a folly because the great thing about pacing it between things people know and things they don’t know, is that you maintain an energy and there’s an exchange. They build me and I build them and I think that’s the right thing to do.